Sleeping in a field for the best part of a week can be a daunting notion for us women, but the never fear, the Filthy Fox team are here to lend you some insider tips to make your festival experience a much more pleasant one! 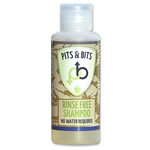 OK, so the first thought that will probably pop into your head will be, “how will I keep clean?” or “Oh my god, I won’t be able to wash my hair for days!” There’s nothing worse than feeling grubby, especially after a long night of partying, so we have a range of mini toiletries, for those of you who fancy hitting the festival showers. If you can’t quite muster the energy to visit the showers in a morning, we have another trick up our sleeves – waterless body wash, shampoo... and even conditioner! These revolutionary products can be applied to your skin or hair, massaged in then dried with a towel to ensure you look and feel squeaky clean. A great option for a quick hair fix at festivals is dry shampoo, which has become a staple item for any female festival goer! So, on to the second concern... Festival toilets. Even those with the strongest of stomachs will be hard pushed not to fear them, but don’t let them beat you! Guys have it easier than us women, being able to stand whilst peeing, avoiding sitting on toilet seats, but don’t worry; you can have that freedom too! Portable women’s urinals allow you to pee like a man, so you don’t have to sit on dodgy looking festival toilet seats, or if there’s a massive queue you can go in the wilderness. If the portable urinal idea isn’t really up your street, why not grab some toilet seat covers or anti-bacterial wipes? Just remember, ALWAYS bring some tissues or toilet roll with you, chances are there won’t be any left when you go to ‘spend a penny’. Living in the UK makes selecting your festival wardrobe a troublesome task, will it rain (probably!) or will I run the risk of burning myself to a lobstery crisp? We say, prepare for both eventualities, we Brits should always be prepared for a sudden change in the weather. Similarly, if you’re attending European or international music festivals, don’t just pack for the sun – it can get chilly on an evening, we learnt this lesson the hard way at Parc Del Forum in Barcelona! 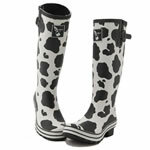 First and foremost, funky wellies – yes, it may end up being sunny, but we can wager that you wouldn’t fancy a visit to the festival toilets in a pair or your favourite flats or sandals. God only knows what horrors are waiting on those cubicle floors! Also, if it has rained a few days before the festival, the ground will most likely still be wet and with the thousands upon thousands of music lover’s feet trudging over it, you may find you’ll regret not taking a pair of wellies with you. You don’t have to opt for boring ‘farmer style’ green ones either; we have heaps of patterned options to make your feet look fab. If it does decide to rain at the festival, make sure you have a waterproof jacket or rain poncho, these may not seem like a stylish option, but you’d be surprised at how many modern and patterned styles are available. You can even go for a clear one, this way people can still see your short shorts and crop top combo and you won’t look as garish as you would in brightly coloured options – although these can be great if you manage to lose your mates in the crowds! For sunny days, a sun hat is key – whether it’s a chic straw option or a fabulous fedora, it pays to ensure you protect your head from the sun in scorching temperatures. Hats also help to protect your face and neck from sun burn and will keep you cool. You’ve been dropped off, now comes the long trudge to the camp site, and you can bet you’re miles away from where you’d like to be! 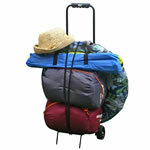 Festival trolleys, wheel barrows and even sledges are popular methods of easily getting your stuff to the camp site – also ideal for loading up with crates of beer and boxes of wine, which can be a nightmare to carry. Another option would be a rucksack, this leaves your hands free for the walk to the camp site, so you could even enjoy a refreshing beer or other beverage on your long trek. Whatever you do, don’t be one of those girls who you see rocking up with a wheeled suitcase, this will no doubt get you a few sniggers from fellow festival goers – you don’t want to look like a diva! So there you have it, ladies, some handy tips for a less stressful festival season, oh and just one last thing... don’t forget your toothbrush! !